Does Test X change what physicians actually do and say to their patients? One of the key ways in which we can (and do) assess the “value” of new types of medical test is by the degree to which they actually change the ways physicians act on the data and make decisions and/or recommendations about patient management. Thus, for example, there would be no real “value” to a new type of imaging test (however good it was) if it made no difference whatsoever to how physicians actually managed their patients. Recently, a company that makes a new form of protein assay for risk of prostate cancer (Metamark Genetics, which supplies the ProMark proteomic prognostic test) worked with an independent organization known as QURE Healthcare to see if the ProMark test affected the behavior of community-based urologists in the diagnosis and management of prostate cancer. Most specifically, they were trying to find out whether having the results of ProMark tests for specific but fictional patients would help urologists to come to the “right” decision about what to recommend to specific patients who had just be shown to be at risk for prostate cancer, and who could therefore could be considered to be candidates for (a) a biopsy to confirm the prostate cancer; (b) a biopsy followed by active surveillance because they were low risk; (c) a biopsy followed by immediate, aggressive treatment because they were higher risk. The study is inherently interesting for several reasons, and many readers might want to look at the full text of the paper by Peabody et al. for themselves. What your sitemaster found most interesting about the paper, however, is that while having the test results available did make a difference to the recommendations made by physicians to their patients, the difference was relatively small. And perhaps more importantly the study showed the enormous variation in types of guidance offered to patients — from (a) firm and optimal “recommendations”, to (b) firm and suboptimal “recommendations”, to (c) a shared decision-making process, and to (d) no clear recommendation or guidance at all (which was commonly associated with either a misdiagnosis or a failure to order a biopsy). 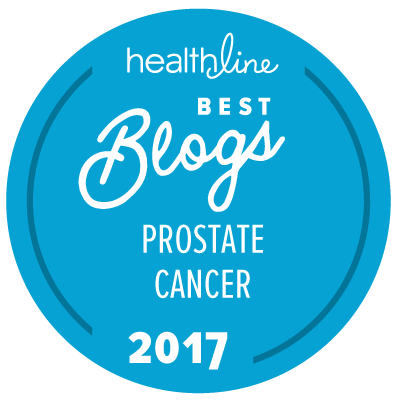 In other words, there seems to be a very high degree of subjectivity among urologists about what one does and says to a patient who is at risk for prostate cancer. Of course this may well be justifiable, and the study (regrettably) was not designed to ask the participating urologists exactly why they made the decisions and recommendations that they did. If we had had that information it might be easier to understand and justify those decisions. It might also be really fascinating to see a study like this repeated with a part of the research study asking the physicians to justify their decisions based on a set of well established criteria.